In 2008, serial entrepreneur and award-winning mentor Joe Abraham discovered the BOSI framework while serving as operating partner to a group of his portfolio companies. 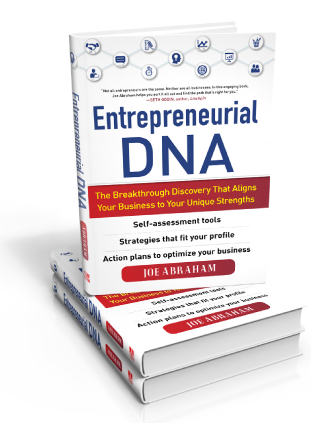 After 2 years of additional research, he authored the book Entrepreneurial DNA (McGraw Hill 2011) which presents the framework in full detail – along with customized recommendations for each BOSI DNA. The book sold out of its first printing quickly and was named a top pick by Entrepreneur Magazine in 2014. This mobile platform was built to make the framework available to the global marketplace of entrepreneurs with no barriers. 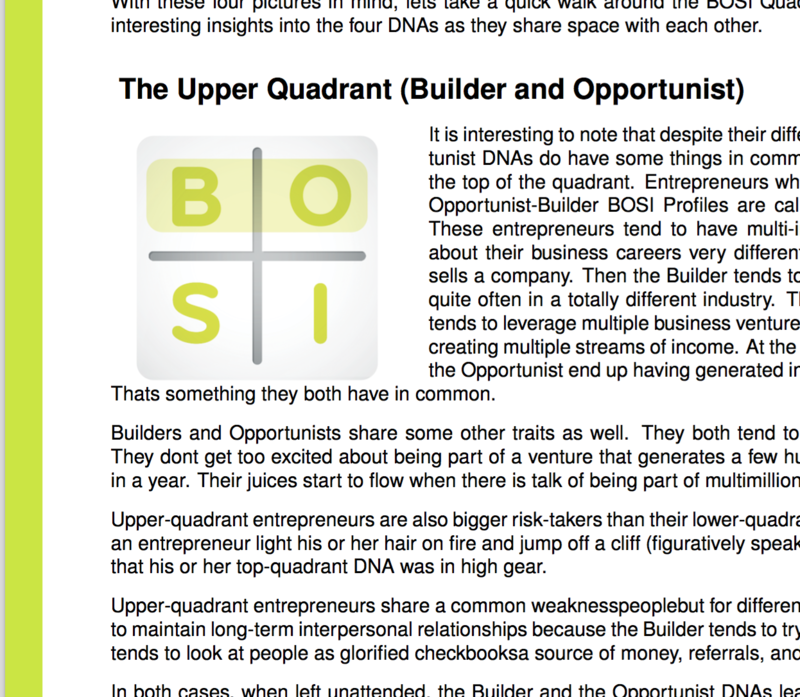 This website allows you and your team to discover where they fall in the BOSI framework – and gain insight into how your BOSI DNA impacts partners selection, board formation, team structure, leadership development and even sales & marketing strategy. You can take the basic BOSI Assessment for free at any time. You can also purchase the BOSI Advanced Assessment and BOSI Team Assessment for a nominal fee. The BOSI Advanced Assessment and Team Assessment include a complimentary consultation with a BOSI Certified Advisor. The BOSI Methodology is now taught in entrepreneurship programs at the high school, university and business school level. Companies ranging from startups to the Fortune 500 are using it as a tool for candidate screening, leadership development, team building and even customer acquisition.